Tomm & Tiddy in the Morning! In the continuing effort to increase revenue (money), listenership, crowd appreciation and love, Townsquare Media has decided to change the format of 94.5 KATS-FM. Please bear with us as we work hard to bring you the best in audio entertainment by changing from the Rock you know, to the Rock & Stuff You Need! Mashed Right Into Your Face! KATS-FM is now K-MASH! Playing all the Hits! All At Once! The only station where you'll hear the sweet and soothing sounds of AC/DC crammed into ABBA. B.B. King spooning with ZZ Top. Linkin Park mixed with Kenny Loggins to make Linkin Loggs! Listen live with the MASH-APP NOW! 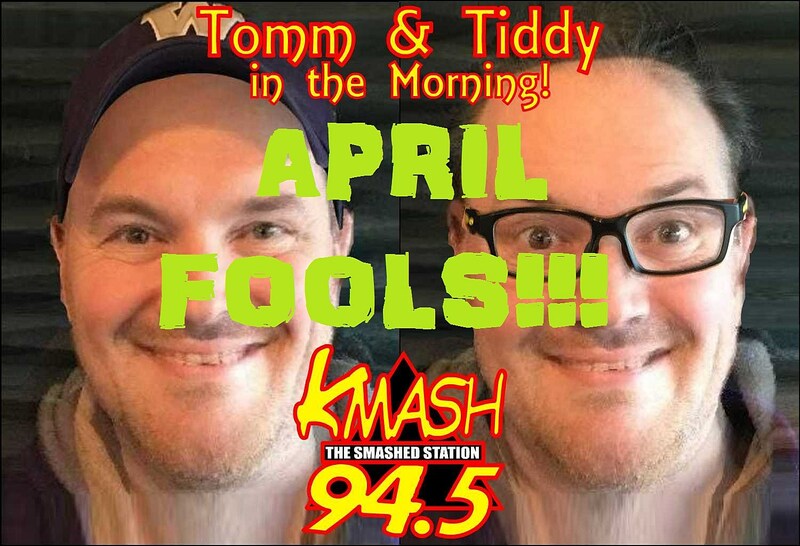 UPDATE: TOMM & TIDDY HAVE BEEN CANCELED!